Xiaomi has launched yet another device called Redmi Note 5A Prime. This is a budget 4G phone with cool features. The phone spots a 5.5 inches screen display which is protected by Corning Gorilla Glass 3. 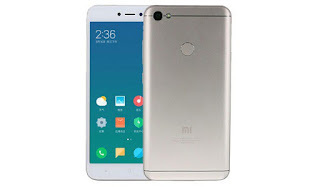 Xiaomi Redmi Note 5A Prime runs on stock Android 7.1.2 Nougat which is powered by Snapdragon 425 processor coupled with a 3GB of RAM and 32GB internal storage. Actually this phone has gotten good specifications, I mean good RAM and nice 32gb of ROM but it is with a small battery.